Newton Aycliffe were beaten by nearby rivals Shildon in a five-goal derby at the weekend. The current league champions had raced into a three-goal lead at Dean Street before Peter Dixon’s side bravely clawed their way back into the game. 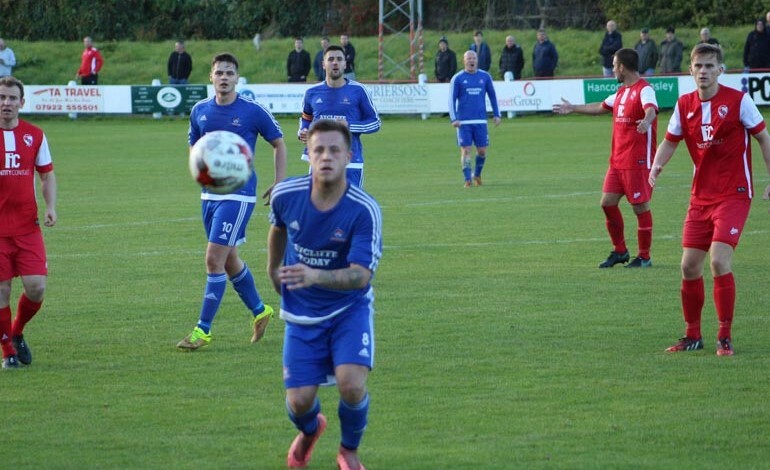 But Shildon ran out 3-2 winners to leapfrog Aycliffe into third in the Northern League first division. Injuries to Scott Howes and Michael Riley led to Andy Ferrell playing at left-back for the Newtonians, while central defender Alex Kitchen had to be substituted after just 15 minutes due to a head injury. The Railwaymen looked impressive in the first half with Michael Rae scoring on seven minutes after capitalising on a scramble in the Aycliffe box. They had a further chance on 25 minutes when the centre forward headed wide. 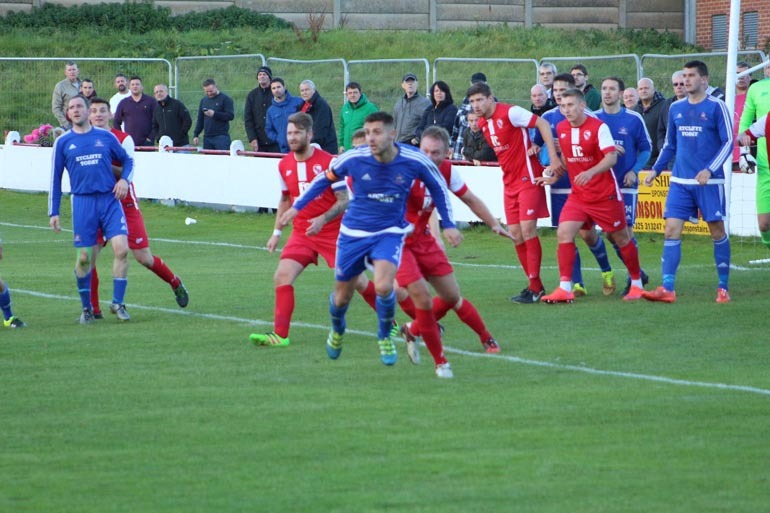 Shildon were to score twice more before half-time with two goals in two minutes. The first a lob over keeper Lewis Brass, followed quickly by a header from a corner. Shildon came close to restoring their three-goal advantage early in the second half but saw a double clearance off the line as Aycliffe hung on. Throughout the game Aycliffe were indebted to midfielder Brian Close who dropped back into central defence in place of Kitchen and did well to keep the home side at bay. Just after the hour Ayclffe pulled another goal back. Once again Knight was the scorer, this time getting a head on a fine cross from Paul Garthwaite. Aycliffe worked hard for an equaliser and came close with 20 minutes remaining when a skilful run through midfield by Zak Boagey led to a shot by John Campbell flying wide of the goal. Shildon had the last significant chance on 80 minutes, hitting the post. The game ended in unfortunate circumstances when Knight was sent off for a second yellow card following what seemed an innocuous challenge. Aycliffe face another trip to the seaside this week when they go to Whitley Bay on Tuesday night followed by a home game against Sunderland RCA on Saturday October 15 (KO 3pm).